Cape Town - Burnley produced a superb away performance at the Vitality Stadium on Wednesday as they defeated Bournemouth 2-1 in their Premier League clash. The visitors enjoyed the better of the exchanges and went in front when Chris Wood tucked home from a rebound. Robbie Brady made it 2-0 after the break as the Cherries struggled to get going. 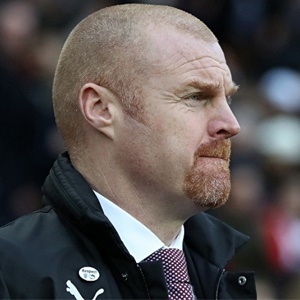 However, Joshua King pulled one back in the 79th minute, but Sean Dyche's side held on for the victory. Burnley started well in the opening exchanges and Wood was inches away from opening the scoring. After a ball was whipped into the box from the left, Ben Mee found the striker, who saw his header hit the woodwork and bounce clear in the third minute. It was an end-to-end game with both teams having half-chances, though it would be Wood who would put the visitors in front. After Brady picked up a good pass from Jack Cork, he cut inside and struck a shot towards the bottom right-hand corner. His effort hit Lewis Cook before rebounding to Wood, who toe-poked home beyond Asmir Begovic in the 37th minute. After the interval, it remained tight although the Cherries fell further behind in the 65th minute. When Johann Berg Gudmundsson broke on a counter down the right wing, his cross to the edge of the penalty box found Brady, who cut inside on his weaker right foot before curling in a superb strike. The hosts threatened little as the crowd expressed their frustrations. Nonetheless, Eddie Howe's men came back into the contest in the 79th minute. From Ryan Fraser's cross from the right, Jermain Defoe put it into the path of King, who bundled it home with a flying touch. The Clarets kept it tight and collected a valuable three points in Dorset.